Back in 2010, I wrote about all the strange and bizzaro combinations of psychiatric drugs some of my adult patients had been put on by other psychiatrists who had seen them before me. These combinations, in addition to being excessive, often made no sense from the standpoint of what these drugs did in the central nervous system. Uppers and downers and bears, oh my. In the biz, this is known by some as malignant polypharmacy. Sometimes polypharmacy is medically necessary because of disorders which co-occur in certain patients (comorbidity), like patients who have both real bipolar disorder and panic disorder. However, a lot of times new drugs from different classes are added merely because the first class of drugs used just did not do the job. And IMO, the most common reason the first class of drugs fails is that the drugs were never indicated for the patient’s underlying condition in the first place. By now this practice has unfortunately spread to the lucrative field of drugging children, where the use of more than one class of psychiatric drugs is becoming more and more common. I have written about how the use of psych drugs in kids is, in general, often higher in children who have been subjected to a lot of stress and trauma, such as children in foster care (9/20/10, 12/2/11). To me, this fact strongly implies that behavior problems and reactions to stress are being misdiagnosed as mental illnesses. Higher prescription drug usage also seems to be inflicted more often on poor children, who have much less access to good and more comprehensive psychiatric treatment (read: family therapy), and whose underpaid doctors may give them short shrift. In the United States, poor children are insured under Medicaid, the U.S. Government’s medical plan for the poor. 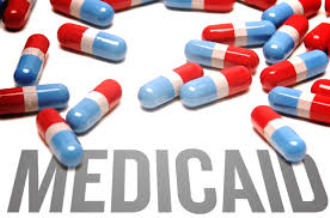 Medicaid pays psychiatrists quite poorly, so most of them do not accept it. It is especially crappy at covering family therapy. So, he is almost declaring outright that antipsychotic drugs are being given to children not for mental illnesses, but for disruptive behavior! If stimulants are involved, most of these children are undoubtedly being diagnosed with ADHD. So, if other drugs are being added, it looks as if stimulants may not be working all that well for this problem in a significant number of cases. And yet, doctors and drug companies and even the National Institute on Drug Abuse go on and on waxing eloquently about how impressively effective they are! And when they are not working, then doctors are apparently adding a drug meant for the almost non-existent condition of pediatric bipolar disorder. I guess these kids have two mental illnesses. Maybe three. Yeah, right. There is no evidence from clinical trials that the combination of these two drugs is efficacious for anything, nor is there a physiological rationale for combining them. And SGA’s are potentially very toxic, especially in children. And they still do a terrible job of even sedating acting-out kids. In my blog post of May 12, Are Scientists More Objective and Rational than the Rest of Us?, I related the stories of some scientists who somehow were able to “think outside the box,” to use the annoyingly well-worn cliché. They broke through the conventional wisdom, academic politics, and scientist groupthink and made radical changes to accepted scientific concepts and explanations for various phenomenon. I discussed Clare Patterson, who successfully took on a respected scientist who had became an oil industry lackey and who had pushed the idea that lead in gasoline was not dangerously polluting the environment. Then there was Elizabeth Gould, who took on neuroscience guru Pasko Rakic, who had set the field of neurobiology back a full decade by refusing to believe a lot of data coming out that disproved the prevailing notion that sophisticated animals are born with essentially every brain cell they would ever have, and that no new neurons develop during adulthood. Another good example was German meteorologist Alfred Wegener, who first proposed – way back in 1915 - that South America and Africa had one time been joined. He was almost laughed out of academia. He even had fossil evidence for his proposition, but the geologists of his day not only mocked him but counter-proposed that there are (now sunken) land bridges to account for the fossils - without any evidence that this was in fact the case. Now all geologists accept the theory of plate tectonics. So what makes some people able to do this? This is actually two questions, not one: First, why can some people think in novel ways while others seem stuck with the groupthink no matter how preposterous it starts to become? Second, why do some of these people succeed in creating – again pardon the second annoyingly well worn cliché – a paradigm shift in the scientific community, while others fail? 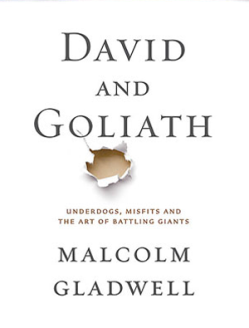 I was discussing these questions with a friend, and in response he gave me an interesting book called David and Goliath, Underdogs, Misfits, and the Art of Battling Giants by New Yorker journalist Malcolm Gladwell. It’s mostly about the individual and group factors that lead some people to think apart from prevailing wisdom, rather than about which of these people succeed in making a mark and which do not, but I thought it was a very interesting read. Now of course Mr. Gladwell is a journalist and not a neuroscientist or psychologist, and his work has garnered a lot of public criticism from professionals in those fields, particularly Steven Pinker and Chris Chabris. 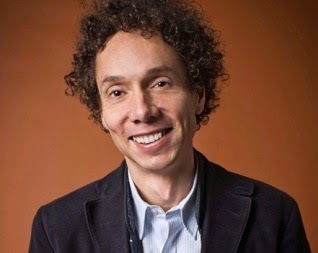 Gladwell is above all a storyteller, but he goes on to make some interesting hypotheses about the psychology – and to a lesser extent the sociology – of the people at the center of his stories. He then speculates further about what these hypotheses could mean more generally. Fair enough, although I'm not sure I would agree that Gladwell is saying his ideas are proven. On the other hand, the belief of some psychologists in the sanctity of statistics and so-called empirical studies in the social sciences is also grossly overestimated. There are some inherent limitations in our current ability to explain and predict things, particularly in psychology. In the words of the neurobiologist Steve Rose, "It is in the nature of living things to be radically indeterminate." I discussed the issue of “anecdotal” evidence versus inductive conclusions in a prior post. But an even bigger problem is the obvious difficulty in precisely mapping out the interactions between genes and environment, when there are literally thousands of environmental variables and a trillion constantly changing synaptic connections between brain cells, all of which interact at constantly changing frequencies over decades. No one can even come close to controlling for all of these variables in a lab experiment. This is the definition of chaos. Sometimes the best way to eventually understand a psychological question of this sort – and one can only talk about increased or decreased probabilities of certain results given certain pre-conditions, never about anything approaching absolute certainty – is by looking at all the details in the stories of a variety of individuals. With all of the variables at work, only individual stories can provide some of these necessary details. With psychology, details matter. So with this in mind, reading Gladwell’s stories does bring up some intriguing possibilities. His major premise is that the experience of certain types of adversities can make someone stronger and far more resolute than he or she might be otherwise. Gladwell brings up, for example, the strength of the population of London during the rocket and bombing attacks by the Germans in World War II. The fact that so many people experienced what he calls a “near miss” – surviving a bombing in which your neighbors did not - can strengthen people's resolve to carry on. He also discusses how some people with dyslexia had to ingeniously develop alternate ways of accomplishing certain tasks in order to overcome their limitations, which later helped them to be wildly successful. Again, I do not think the author is arguing that dyslexia is a good thing, or that for most people it does not impair or even destroy their attempts at success. So other variables are obviously involved. But that doesn’t necessarily negate the premise that sometimes weaknesses can be turned into strengths – as David did in the story of David and Goliath. 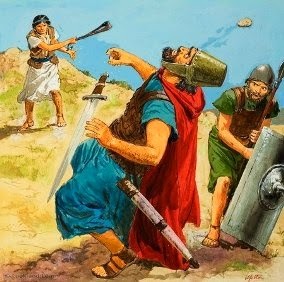 Goliath was only prepared to fight someone who fought just like him, which left him vulnerable to a projectile from a slingshot. Then there was the story of Emil “Jay” Freireich, a doctor who was a major player in the vast improvement in the treatment of childhood leukemia. The good doctor lost his father when he was quite young to a probable suicide after the stock market crash of 1929. The family was left destitute, and the mother was frequently absent in order to work, leaving him to fend for himself. To oversimplify just a bit, Freireich realized that children were dying because individual drugs, which were causing horrific side effects, did not work fast enough. The leukemia killed the children before the drugs really had time to work. The drugs were just not killing enough cancer cells quickly enough. He knew that this meant that the children needed more aggressive treatment, and that drug “cocktails” were probably called for. But this meant that the children would suffer even more horrible side effects as the cocktails were given to them, and the medical establishment recoiled in horror at such a thought. But Freireich had learned to persist in the face of adversity, and would not be deterred. Of course, the places in which he worked could have easily fired him for his activities, so a lot of luck was also involved. He had to be surrounded by at least some people who recognized the possibility that he might just be right. Fortunately, that was the case. Today’s cure rate for the type of cancer he fought stands at about 90%. As an aside, Gladwell also brings up sort of in passing something that I wanted to mention because it puts an additional, very interesting new spin on the problem of some African Americans internalizing the racist, negative attitudes of Whites toward Blacks, so that they end up treating each other just like Whites used to treat them. I discussed this in my post of 8/14/2010 called The N-word. "...a significant number of slaves lied, cheated, stole, feigned illness, loafed, pretended to misunderstand the orders they were given, put rocks in the bottom of their cotton baskets in order to meet their quota, broke their tools, burned their master's property, mutilated themselves in order to escape work, took indifferent care of the crops they were cultivating, and mistreated the livestock placed in their care to the extent that masters often felt it necessary to use the less efficient mules rather than horses since the former could better withstand the brutal treatment of the slaves." So, when African Americans makes themselves look like a parody of a White stereotype, are they doing this on purpose to be a trickster, or subconsciously out of fears - originally concerning retribution - passed down unknowingly from one generation to the next? Actually, any given case could be either one - or even both. That the behavior can be this ambiguous shows the power of what I call the actor's paradox. Today’s guest post is by Ashley Hardway. 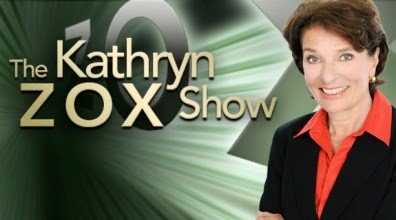 She discusses her personal experiences being in the dysfunctional family role of the mediator, the one in the family who always tries to help settle disputes among other feuding family members. It is an version of what Murray Bowen called triangulation, the process by which two people in an unstable relationship rope in a third member to contain the conflict without actually solving it. When one person in a family is the one who always volunteers to mediate disputes, and/or is the person who everyone else always turns to to fullfil this function, the role often may then spread to variety of other relationships, particularly with spouses and in-laws. It may also happen that the persons everyone turns to is criticized for the way they are carrying out the task as wells as frustrated in their attempts to accomplish it, and yet also criticized if they stop mediating. As far back as I can remember I have been in the middle. I am the middle child and I began mediating between my two siblings when we were just wee children. This carried on into adulthood with me being the mediator between practically everyone. I really do not know why. Maybe it was all the practice I had growing up, or maybe I thought I was good at it. I was always trying to make peace but it never seemed to work out the way I planned. When I got to be an adult I was still mediating between my siblings and between my dad and siblings. No one seemed to be able to communicate their feelings and I was constantly trying to enlighten everyone to what someone else was truly saying. Our family was not exactly a cohesive unit but we always did have the fundamental foundation of love which kept us trying. When I got married I became the mediator between my husband and my family and between his family and mine. My family has very few boundaries and would drop in without announcement. I was used to that, but what made the boundaries fall even more by the wayside was the fact that our mother lived with us. So it was pretty much no longer considered my home - it was mom’s home and anyone was welcome at any time. This did not go over well with my husband or his family as you can imagine. I tried to make peace and I tried to set my family straight but life-long habits are hard to break. My husband’s family was the type that scheduled days to see their parents and make arrangements with each other in advance for any visits as well. So you can easily see how our situation could cause resentment. Now, not only was I hearing about it from my husband but his family began to chime in as well. I was caught in between trying to talk to my family about the situation and at the same time smooth things over with my husband and in-laws. I was trying to do it all without totally breaking off ties with either side of the family and keeping my marriage together. Along with all the mediating, I was doing my best to not only hold down but also excel in a full time job and raising two children whom I adore. One of my siblings eventually moved out of state, which alleviated some of our problems for a while. But it was not too long afterwards that my mom’s sister and her mother, my aunt and grandma, moved to get closer to mom because they were all alone too. They moved in about a half mile down the road, and thankfully mom went over there most of the time. The trouble started when my mom’s brother, a dear uncle, was diagnosed with brain cancer and could no longer work. He too moved in with my grandma and aunt, but before long he became quite ill. He loved to drop in and play with my kids. And not too long after that my youngest sibling got a divorce and was also dropping by constantly and unannounced for visits and for meals. Everyone had legitimate needs and I loved them all, but this once again made my position of mediator more difficult. I found myself constantly talking to my mom and siblings about the problems created by everyone gathering at our house and how it upset my husband and his family. I was also constantly explaining to my husband that the reasons for the frequent visits by my family was that everyone was either sick, lonely, or hurting. It upset my mom when I would talk to her about this situation because she is the type of person who has never been able to say no to anyone - and of course she loved them all. It upset my husband because he did not have the same feelings towards these people and did not understand them. I found myself drowning in a churning whirlpool of emotions that never seemed to stop. Nothing I did seemed to solve these problems in my marriage or in my relationships with my or my husband’s family. Nothing I could say or do seemed to help and I eventually just gave up talking and let things happen as they happened. I thought that maybe if they duke it out on their own, then things would get better. Being in the middle for so long and trying to make things perfect had completely exhausted me. The reason that I finally gave up was that my family began criticizing me as well as teasing me about being so high strung. When I had worked as hard as I could to make things work and no one cooperated I ended up angry or in tears. I remember one Christmas they were actually betting on how long it would take before I had my meltdown. 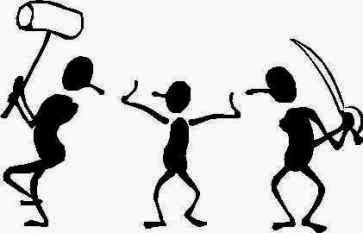 My husband normally acted unhappy or somewhat indifferent, but when the betting took place he joined in on it! So I decided to give in and let everyone fend for themselves except for my kids. After that my relationship ties were mainly with my children. Of course this did nothing to help the situation but it also seemed to make my marriage and my relationship with my in-laws even worse than before. Throughout the course of a full decade I had done my best to talk to my husband about what was going and let him know that I was trying to set boundaries. I was fighting a battle I could not win. After all, my family had been used to me trying to mediate all my life and they had the ability to just shut me out when I talked. I tried to talk to my husband and see if he could help me find a solution. Perhaps if he could step up and let my family know how he felt in a controlled manner it would help. But he was not that type of guy; he felt like I should be handling it and if I loved him then I would make it work. He would basically sit in the background and complain to me or just disappear and/or complain to his family. Do not get me wrong - I do not blame him, but I sure could have used his help because I was purely and utterly overwhelmed. I believe being a mediator is hardest when you are mediating between family members. This is especially true when you dealing with a family with no boundaries in the first place. In pretty much any other arena you can lay down facts and work at getting people to see other people’s views. I hate to say it, but the only way I got out of the role as mediator was to give up and let things fall where they might. My family then wondered why I was distant and sometimes indifferent. As time went on my husband and I became almost strangers living in the house together and my marriage ended in separation and eventually divorce. At that point it was somewhat of a relief even though of course it was still painful. It felt something like the death of a terminally ill patient whom you know is now no longer suffering. When they all started making fun of me I really realized how little I could do to help anyone. I wasn’t helping myself, certainly, by putting on all this extra stress. I figured out something. “You can lead a horse to water, but you can’t make him drink.” No matter how hard I tried I could not make everyone happy. In fact I could not make anyone happy, not even myself. When I finally gave up on trying to mediate with the adults I invested myself in my kids. Of course I went from one unhealthy situation to another. I made my kids the focus of my whole life and, rather than finding happiness within myself, tried to find happiness through their lives. One of them handled it badly, seeking to run away. The other one seemed to do great on the surface but after a long time finally admitted to me how hard the strain was of trying to be my happiness for me. I didn’t even realize I was doing it, of course, because I never wanted to hurt my children. It has taken me a long time, and is still a work in progress, but I have started to look for happiness inside myself instead of trying to make everyone else happy thinking that would make me happy. I finally learned that I can’t please everyone and saying yes to everything does not make their lives or my life better or happier. By finally setting boundaries with myself, I could at last set boundaries with those around me. I had to give up my need for love and affection, at least as I wanted it, and learn to be happy within myself. It has been a struggle, but I am working towards a healthier way of living. It has certainly helped that many of the family members that perpetuated the chaos have passed away or moved away. A little peace can go a long way!" My attempts to mediate failed pretty much my whole life, but I kept trying because I hated to see people unhappy and misunderstood. I put myself in a place that I was not really capable or qualified to handle. Now I know, without a shadow of a doubt, that it is not possible to make everyone happy all the time. I cannot be responsible for any one else’s happiness but my own. I still have no idea how I could have handled that situation any differently. But I do know when you put yourself in that position you are certain to fail. Sometimes an effort to solve a problem just creates different, and at times even more serious problems. Take the electronic medical record (EMR) for example. Please. (Apologies to Henny Youngman). In a clinic I work at that uses an EMR, we are required to fill out a “treatment plan” on each patient. This is - for me at least - a waste of time since my initial psychiatric evaluation note contains all of the information contained in the treatment plan, as well as important contextual information about the patient that is not included in the plan. The treatment plan is not only redundant, requiring me to enter information twice, but increases the number of notes in the medical record, making it more difficult for anyone reviewing the chart to find specific information they may need to as they attempt to properly care for a patient. Sometimes trying to find specific information in the record is like searching for the proverbial needle in a haystack. Since we aren’t given a lot of time to review charts before patients come into see us in the first place, this takes time away from the all-important face time with patients. A narrative note is always better than a form with boxes, which often does not provide a “box” that adequately addresses an issue for a patient. But having reviewed the notes of other psychiatrists, I can see why some administrator felt that having a formal treatment plan in the EMR was a good idea. A lot of the information inherent in a good psychiatric evaluation was nowhere to be found in the notes from a good percentage of my fellow clinicians. Not only that, but many of their follow-up progress notes did not mention what symptoms were being addressed by the doctor's treatment. Nor did they mention what symptoms, if any, had responded to any medications that were prescribed, let alone whether or not the symptoms had actually resolved. The treatment plan template wisely asked for these target symptoms. Recently, however, the plan template was changed to include a question asking the clinician how symptom improvement was to be measured. The answer should be, “by clinical evaluation.” And that is what I always write. However, I think the designers of the template are looking for some sort of psychological assessment device, as if that were more valid that a clinician’s evaluation. As I frequently rant about on this and other blogs, such measures are typically screening tests consisting of symptom checklists, and as such are NOT meant to be a measure of clinical progress, let alone of a definitive diagnosis. The question a good psychopharmacologist asks, particularly with major mood disorders, is not only whether the symptoms the patient has have improved. It is whether the patients have returned to their “baseline,” the way their mood was before they developed an episode of, say, major depressive disorder. The Hamilton Depression Scale (HAM-D) scale for rating depression is one of the most frequently used symptom checklists, both clinically and in research. It was published fifty years ago Max Hamilton (1912–1988). Interestingly, Hamilton himself was forever pointing out that the HAM-D was not intended to be used to make the diagnosis of depression. It does not have either sensitivity or specificity—there is a great deal of overlap with symptoms of other diagnoses, particularly anxiety disorders. Yet somehow it became the gold standard for not only evaluating the efficacy of antidepressants, but for measuring symptom improvement clinically. I would much rather the administrators of the clinic solved the problem of absurdly vague “progress notes” by spelling out the minimum information they need to contain, not by asking a stupid question on a treatment plan form.